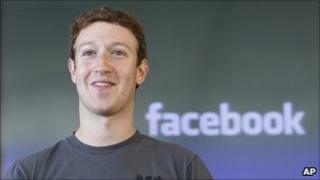 The social networking giant Facebook is a few steps away from trademarking the word face, online documents reveal. The site has been asked to detail a "statement of use" by the US Patent and Trademark Office, explaining how it intends to use the word. It could limit the use of the word in other social networks and services, such as Apple's Facetime, lawyers said. Trade mark specialist Fiona McBride, from law firm Withers and Rogers, said the move was "not as unexpected as it may sound ". "Facebook is right to lay legal claim to use of the word 'face' in the context of social networking sites and other specific computer-linked activities because they have built up a reputation in the name Facebook, of which arguably 'face' is the dominant element," she said. The social network's ambitions were first reported by technology blog TechCrunch. It highlighted a document that showed the social network had applied for the trademark for use in "telecommunication services, namely, providing online chat rooms and electronic bulletin boards for transmission of messages among computer users". Facebook is currently the largest social network, with nearly 600million users. Facebook declined to comment on the story.